Every party is different, It’s a safe, fun and successful event. And best of all Mom and Dad can enjoy watching the kids in action. Parents bring a camera – it’s a must! And remember to invite the other parents to stay and relax in a comfortable room while they watch and enjoy the excitement and energy of their own child’s activity. Each 90 minute Birthday party has a curriculum just like our classes. Every minute is filled with safe, fun and meaningful activities. Our instructors are educators and therefore you will find a message of positive enforcement in every skill and drill that the children do. You will not see kids running around in a wild uncontrolled environment, or standing around being bored. The party is a fast paced, action filled, excitement packed, music friendly experience – one that gives us repeat customers time and again. 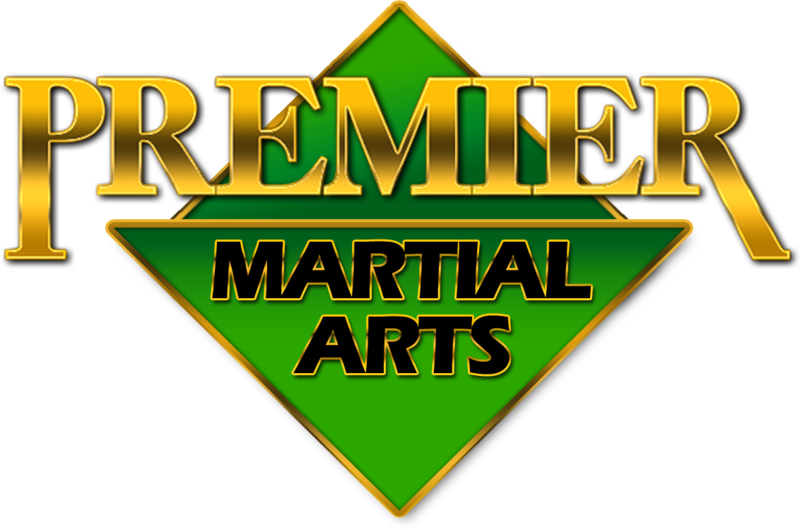 Tell your guests that no one needs Martial Arts experience. So everybody 4 & up will be able to join in. The Birthday child is invited to attend one month of free lessons so that he/she can be a “leader” at his own party if he/she is not presently a student. We guarantee that your child’s birthday party will be well organized and professional. Every child will be grinning from ear to ear for the entire party. We also guarantee that everyone, even the parents who watch, will have a great time! All You Bring is the Birthday Cake! 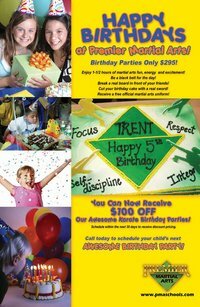 Parties include 90 minutes of karate curriculum and fun, pizza, drinks, paper products, paper goods, and invitations. All you need to bring is the birthday cake.